Mission, Vision and Values | Ostool AlNaqil Co. Provide safe tailor-made solutions catering for your trade and transportation needs. 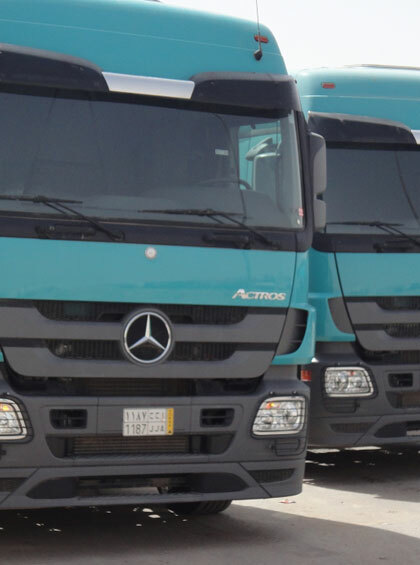 We aim to provide you with timely and cost effective deliveries giving you space and time to concentrate on your business goals. At Ostool Al Naqel, we will go that extra mile to empower your market competitiveness and help you grow your business. Become the preferred partner in providing effective and efficient quality transportation services that meets the growing needs of the local, regional and international market. Responsibility: We thrive to maintain safe and healthy environments within the communities in which we live and work. Loyalty: Faithful and devoted to our company at all times. We earn the respect and confidence of our people and customers in everything we do.